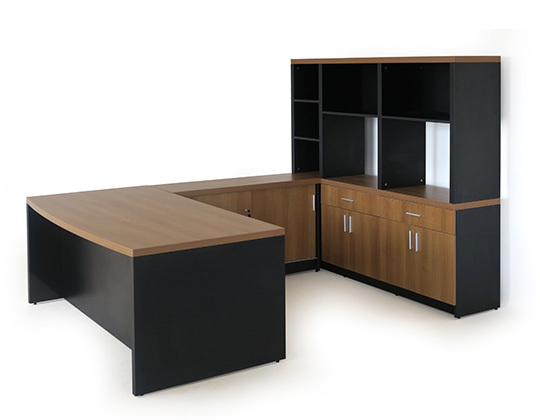 An exclusive collection of specially designed premium office suites, consisting of larger tables with matching storage elements. Choose from sleek as well as solid, chunky designs guaranteed to create the right impression. Table suites have a variety of designs, ranging from models with steel legs and frames, as well as in panel board structure. Optional cable management can be provided in the form of flip up boxes power strips. Cube offers a complete premium executive table suite in a modern and minimalist cubist design, on which the table top virtually ‘floats’. The Chamber Premium Executive Table suite offers an impressive solid and chunky look, as compared to its relatively light weight.